It’s going to be a beautiful weekend which means more opps to check out all the cool stuff going on around town! 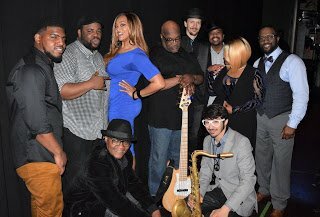 Inner Loop plays at Med Cafe’s Live Music Thursdays, an Aerial Dance workshop will make you feel light as air, 🙂 The Fairwood Music Festival will have you movin’ to the sounds go the Chuck Brown Band & Macy’s Backstage’s Grand Opening will have you spending their money (free gift cards to first 100). Details on all that and more, below! Meet the Author: Paul Porter as he discusses his book, “BLACKOUT – My 40 Years in the Music Business. Presented by Prince George’s Arts and Humanities Council. Nothing says summer like an evening under the stars! Pack your chairs, grab food to go from one of our delicious dining establishments, and meet us at the Plaza screen for a FREE date night movie! As movie times/dates may change due to weather, check website for updates. Eat some good Mediterranean food, support a local Mt. Rainier restaurant and catch the energetic improvisational sounds of Inner Loop at Live Music Thursdays! Always a fun time and can attest that the falafels here, with some special sauce, will make you return for more! Jeff Smith is a performing singer songwriter whose songs are the stories of country and folk music, with the feel of blues and rock n’ roll. Join this workshop and learn the skills you need to properly install a tile backsplash. The lesson will cover tile options, preparing the wall before applying tiles and mounting tiles using SimpleMat adhesive. Register here. To kick off Macy’s Backstage’s grand opening, they’re giving away $20 gift cards to the first 100 customers. There’ll also be gifts, photo ops, music, refreshments and other giveaways! Want to make a fun & unique wall hanging? We’ll teach you the very basics of weaving—- warping a loom, weaving techniques, and finishing your weaving. Class requires the Pop-Out Loom by Black Sheep Goods, which is available for purchase in our store. The loom includes all tools & a variety of yard to get you started. A combination of tribal world beats with progressive rock-jazz-jam influences. Learn key aerial conditioning techniques, how to sit and stand on a trapeze, how to climb aerial fabrics, basic tricks, and more under the guidance of our kind and supportive instructors. Closing reception for a solo project by Pauline Rakis. Rakis considers her best work to be that which is produced intuitively. She began exploring abstracts and collage in 2011 and has found these to be both enlightening and freeing. 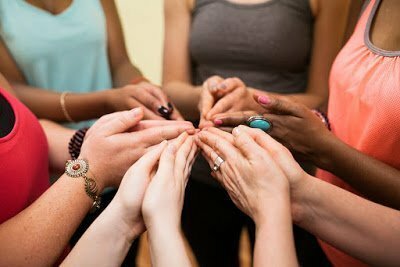 Check out Numi Yoga with this free community class. Register here. Join Penny Appeal USA on Sunday, August 27th for a night of boardgames, laughter, and friendly competition. Network with other young professionals in the DMV area while supporting an up-and-coming startup nonprofit with games and trivia.